Bike Forums - View Single Post - What's your 7 iron? Thread: What's your 7 iron? Tough choice but think my vinti 7 iron would be the '72 LeChampion. Fun and capable. Its so good I don't really notice how good! Only until I've been riding other bikes for months at a time, then after neglecting the LeChampion.. I forget how really excellent these bikes are. Oddly this particular year has steeper head angle yet mighty classic curve in the fork. It has bitten me too! Fast gravel tight cornering and with a tick of toe overlap. Perhaps this is what makes the frame, I really don't know but it has character. 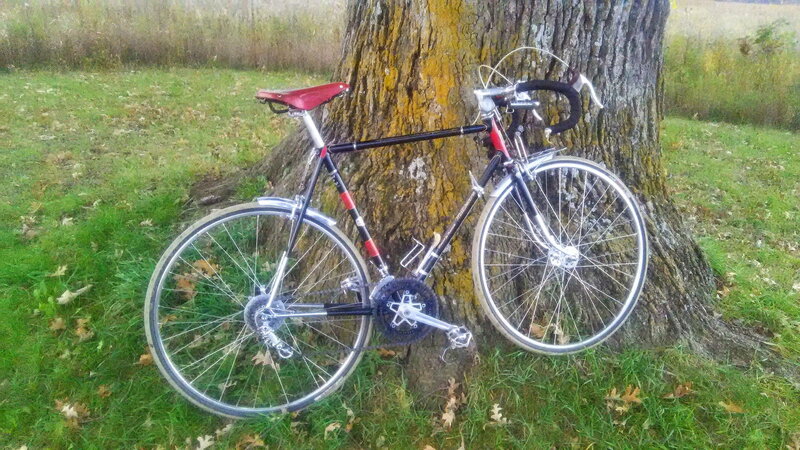 Full Reynolds 531. I like the 32 width fast gravel tires on it and have no fear of the occasional single track trail. 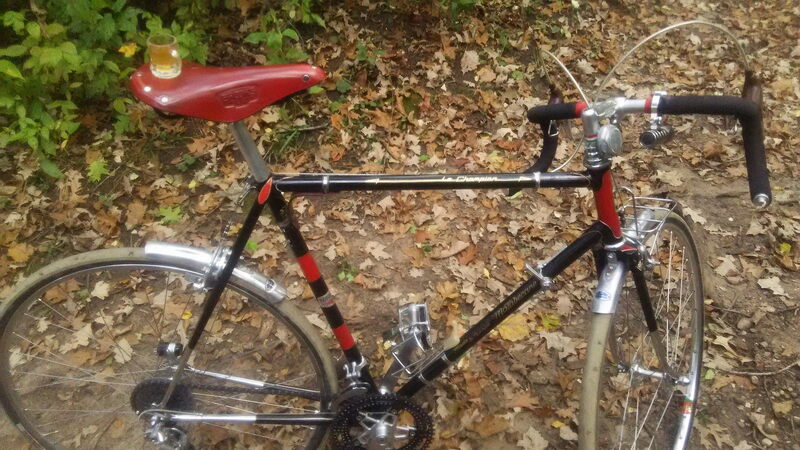 Handlebar flask... cheers. Last edited by crank_addict; 03-13-19 at 01:50 PM.